Will local wage laws spark state action? 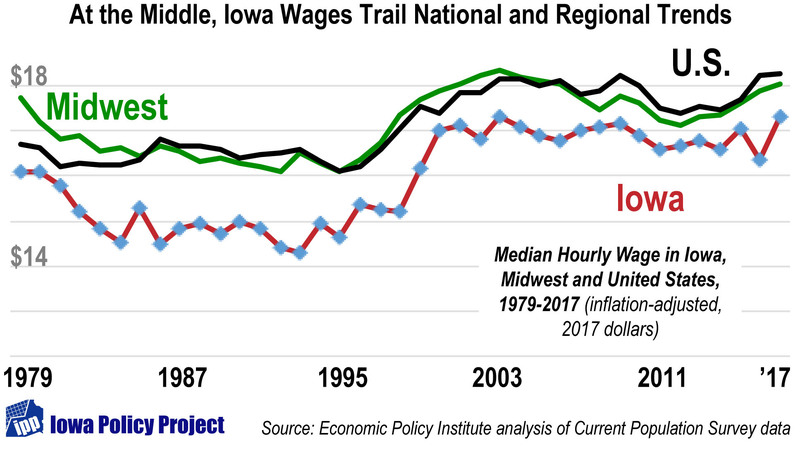 The question in October is a question for January: Will local minimum wage efforts force a serious debate and action on a meaningful minimum wage for Iowa? 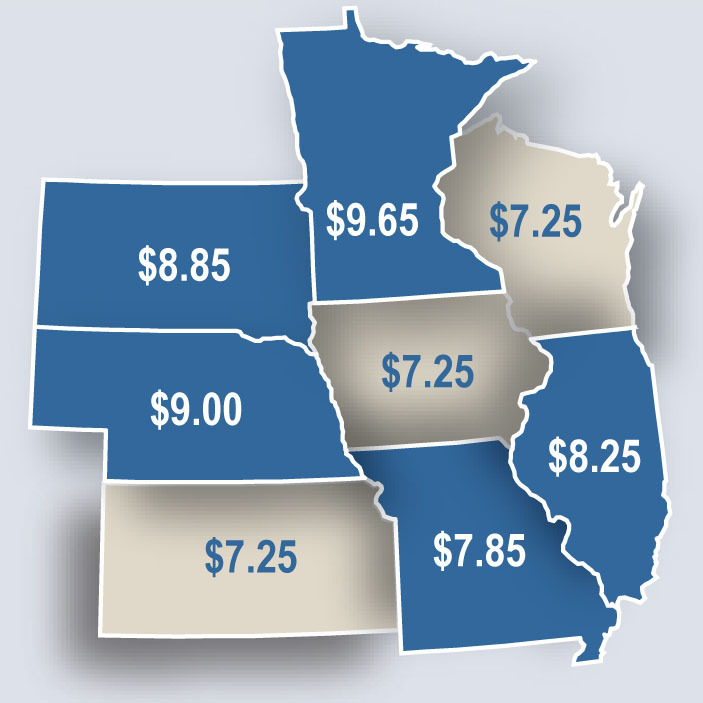 The pressure is building in Iowa for a minimum wage increase. Polk County last week became the latest county to take matters into its own hands as Iowa lawmakers and Congress have left the state and national minimum wages at $7.25. Four counties have now approved minimum wage increases above $10 per hour by 2019, with one of them — in Johnson County — scheduled to be fully phased in by Jan. 1. Within several days of that, the Iowa Legislature will convene and the ball will be in state lawmakers’ court. 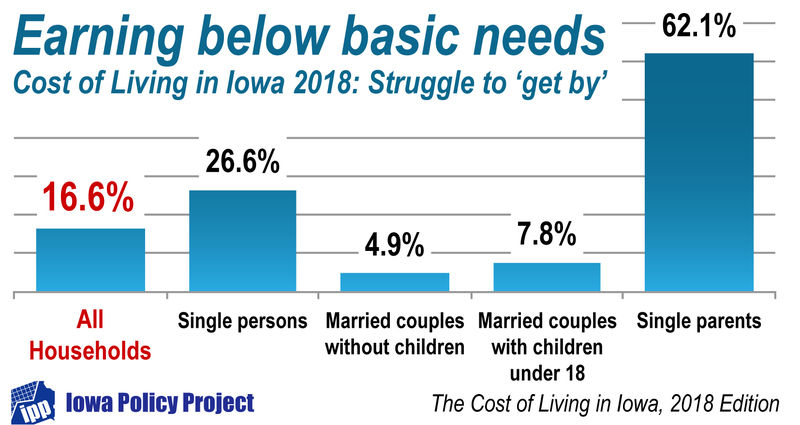 In the meantime, Iowans tired of the nine-year wait for an increase may keep acting locally to boost prosperity for low-income working families — which is critical as about 1 in 5 Iowa do not earn enough for a basic-needs household budget. — Johnson County is currently at $9.15 in the second step of its three-step increase to $10.10 on Jan. 1, indexed to inflation after that. — Linn County has approved an increase to $10.25 by 2019 (three $1 steps, Jan. 1, 2017-19). — Wapello County will move to $10.10 by 2019 (three 95-cent steps, Jan. 1, 2017-19). — Polk County approved a wage of $10.75 by 2019 (three steps: $1.50 April 2017, $1 more in January 2018 and 2019), indexed to inflation afterward. Includes exception for workers under age 18. There has been discussion or interest in a similar move in at least four other counties: Lee, Woodbury, Des Moines and Black Hawk. For some, this has become a county supervisor campaign issue. Author iowapolicypointsPosted on October 17, 2016 October 18, 2016 Categories Budget and Tax, Economic Opportunity, OrganizationTags Black Hawk County, Cost of Living in Iowa, Des Moines County, Iowa Policy Project, Johnson County, Lee County, Linn County, Mike Owen, minimum wage, Peter Fisher, Polk County, Wapello County, Woodbury County1 Comment on Will local wage laws spark state action? Beyond philosophical arguments and legal speculation, basic economic realities offer the context necessary to consider a minimum wage increase at a meaningful level — whether adopted by a city, county, state or the U.S. Congress. There can be little question that Iowa’s minimum wage — like that of the nation — is too low. At $7.25, it doesn’t come close to a living wage, yet the data show conclusively that in a significant share of households, income from a minimum-wage job is critical to the ability of a family to make ends meet. Plus, in Iowa it has stood at $7.25 since January 2008. An increase is long overdue. Proposals for how much it should rise, however, are all over the map — literally. Not only do 29 states have wages at various levels higher than the federal minimum, but so do a growing number of cities. Even in Johnson County in Iowa, county officials are thinking of moving to $10.10 over the next 17 months. In our new report, “The Case for a County Minimum Wage,” we look at the impacts on households of a $15 minimum wage in Johnson County and in Linn County. We find a benefit to over 43,000 workers. Why $15? First, recognize that it is a conservative number. 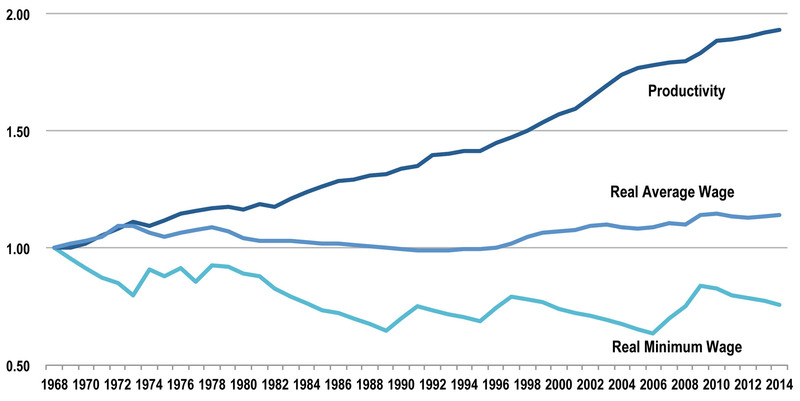 Had the wage been indexed to the growth in productivity since the late 1960s, it would be over $18 now. The graph below shows how the minimum wage, average wage, and productivity have changed from 1968 through 2014. The stark gap between both the minimum and average wages and the pace of productivity illustrates how income inequality has grown so rapidly — gains are not being shared with average or low-wage workers. Another reason to look at $15 is that it would be a significant step toward the wage needed for a basic-needs budget in many Iowa families. 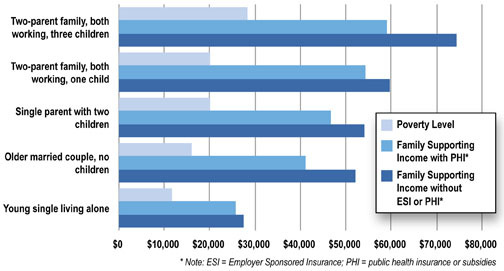 Our Cost of Living in Iowa analysis shows a married couple in Johnson or Linn County with one wage earner and one or two children needs a job paying $19 to $27 an hour just to pay for the basic costs of rent, utilities, food, child care, transportation, and health care. With two earners, each parent needs between $13 and $18 an hour. For a single parent, the budget math becomes more daunting, as child care costs must be paid out of a single paycheck. Now an hourly wage of $20 to $31 is needed. 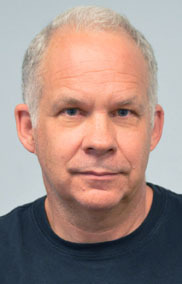 Beyond the philosophical arguments about minimum wages, and speculation about whether a local minimum wage law will pass a court test in Iowa, these basic economic realities offer the context necessary to consider a minimum wage increase and to determine a meaningful level — whether adopted by a city, county, state or the U.S. Congress. The minimum wage matters. The only problem is, it doesn’t matter enough. At the Iowa Policy Project, we deal with numbers — a lot. And the numbers matter — but only because those numbers affect people. On no issue is that more important than the minimum wage. It’s important to remember, Iowans considered $7.25 something of a triumph when it passed — seven years ago. When it took effect a few months later, on Jan. 1, 2008, it put Iowa ahead of most of the country. It took another year and a half for the federal minimum wage to reach that level. Certainly the $10.10 proposed by Senator Tom Harkin and others is a good start. It chips away at the bills. But let’s not lose sight of the fact that even then, people will be working full time in jobs that do not pay enough for them to get by. • In Linn County, you need more than that whether you are single or married with kids. 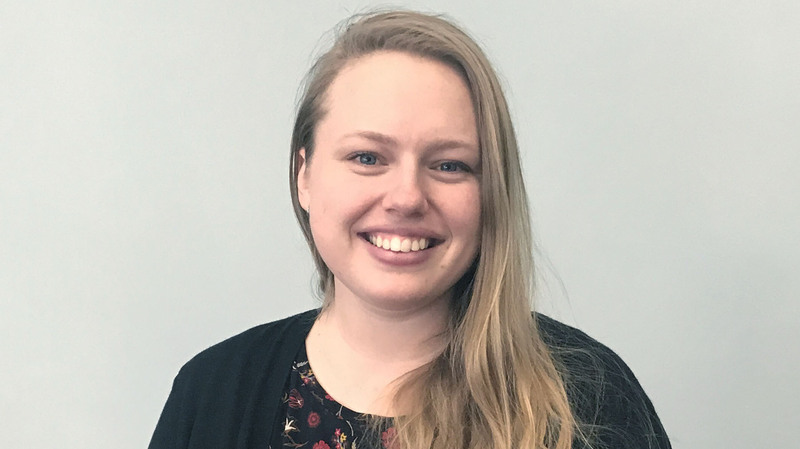 • In the Cedar Rapids metro area — covering Linn, Benton, Jones, Iowa and Cedar counties — a single mom with one child needs to make $20.17 an hour. 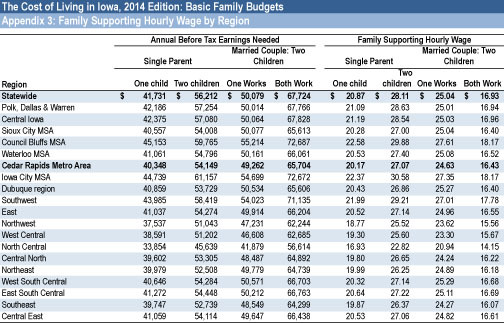 For a married couple with two kids, the family-supporting wage is $16.43 for each parent. And for all other families with kids, a parent needs to make over $20 an hour. So the minimum wage matters. The only problem is, it doesn’t matter enough.